French billionaire pledges 100 million euros to rebuild Notre Dame Cathedral. 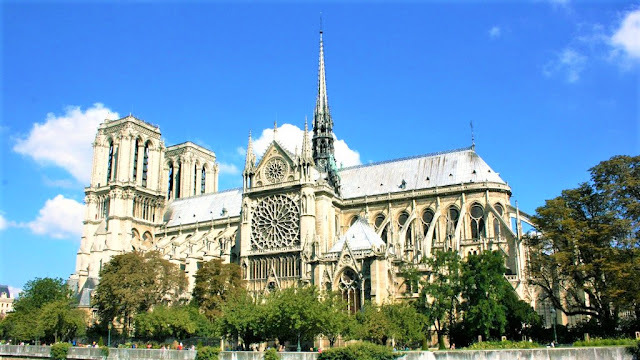 “My father and I have decided to release immediately from the funds of Artemis a sum of 100 million euros to participate in the effort that will be necessary for the complete reconstruction of Notre Dame,” François-Henri Pinault said in a statement on April 15, 2019. Another billionaire, the family of Bernard Arnault, the richest man in Europe, offered $226 million. French President Emmanuel Macron pledged a national fundraising campaign. Video from inside the damaged church showed pews still standing. 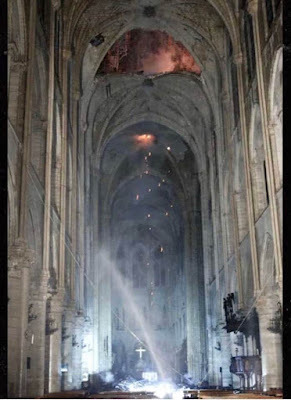 The overall structure of the church appears to be intact, Junior Interior Minister Laurent Nuñez told reporters. Investigators said they do not suspect foul play.The Gothic cathedral was built over centuries with construction beginning in 1163. Culture Minister Franck Riester said many works of art in the cathedral were saved and Notre Dame’s organ had survived. They had also saved the church’s relics: a tunic worn by Saint Louis, a 13th-century French king, and the crown of thorns of Jesus. The objects will be transferred to the Louvre. 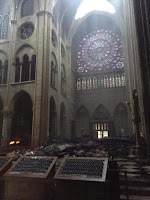 Most of the cathedral’s stained-glass rose windows, are also intact. French President Emmanuel Macron visited the Cathedral and promised to rebuild. Many other donors have also offered money.